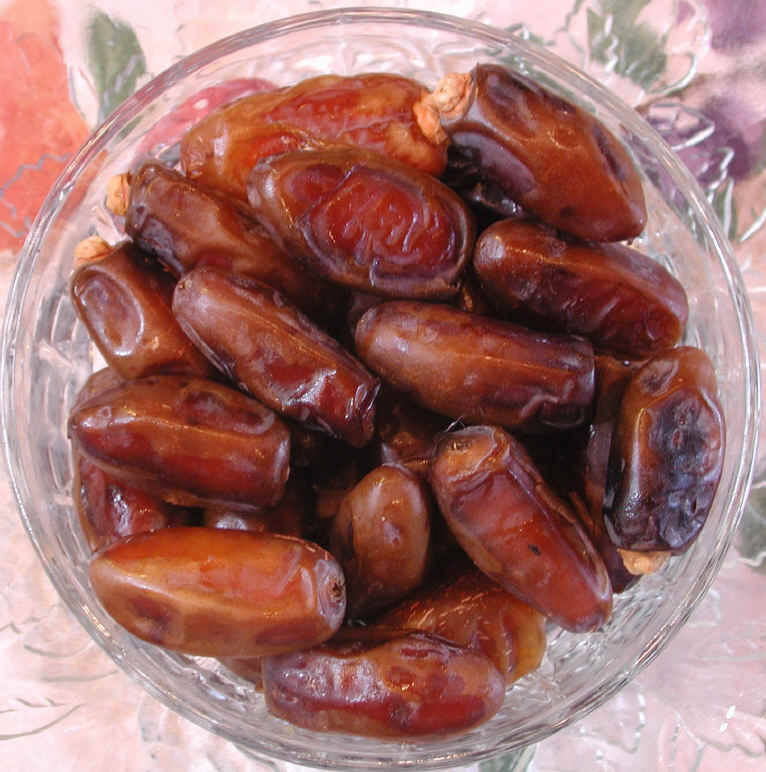 (Dates, Mecca Gold) Mecca Gold dates are a somewhat smaller variety of eating date. They have a slightly heavier skin with a deliciously soft sweet interior. The term "Gold" in the name is somewhat misleading; as can be seen in the photo, these dates are a darker variety. Each date has a long thin seed. We have not seen them sold in stores. These veganically grown dates were ordered directly from the grower, The Date People, P. O. Box 808, Niland, California 92257. We could not find any specific nutritional information for Mecca Gold dates. 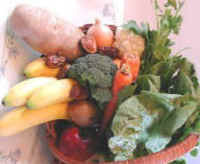 For general nutritional information about dates, we suggest you look at the charts we have published with our presentation of Deglet and Medjool dates.